Senate Democrats on Wednesday failed in an attempt to overturn the Trump administration's expansion of so-called short-term, limited-duration plans, although they gained a Republican ally. Sen. Susan Collins (R-Maine) broke ranks to join Democrats in a 50-50 tie on Sen. Tammy Baldwin (D-Wis.)'s failed measure to thwart the executive order before November's midterm elections. 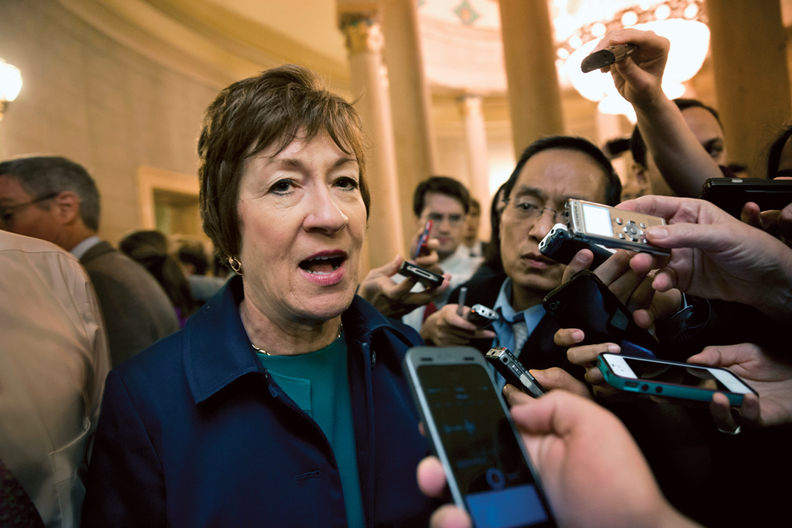 Collins characterized her support as part of her stance on shoring up coverage protections for people with pre-existing conditions. "Short-term limited duration plans do not provide protections for enrollees who suffer from pre-existing conditions," Collins said in a statement following the vote. "As I have often emphasized, it is essential that individuals who suffer from pre-existing conditions are covered." Sen. Lisa Murkowski (R-Alaska), a fellow moderate who joined Collins last year to help defeat the GOP Senate's Obamacare overhaul bill, voted with Republicans. In August, Baldwin's staff told Modern Healthcare the senator had spoken to or planned to speak with Collins, Murkowski and Sen. Shelley Moore Capito (R-W.V.) about supporting the initiative. Republicans and defenders of the rule say it offers an affordable coverage option for people who don't want an Affordable Care Act plan. Democrats are using the short-term expansion rule as a talking point in the upcoming November midterms, where healthcare affordability and coverage have emerged as the top-cited issue voters worry about. "It was a simple fix," McConnell said. "It doesn't take away the choices they have under Obamacare, but empowers Americans to use this alternative choice if they prefer it." Collins in her statement also touted the measure she pushed earlier this year with Senate health committee Chair Lamar Alexander (R-Tenn.) to restore funding for cost-sharing reduction payments and fund a $30 billion reinsurance pool. "Unfortunately—and incredibly—when we tried to advance this legislation, the Democratic leaders blocked it," Collins said. Baldwin filed the discharge petition after securing the 30 signatures from her colleagues required to force a vote on the Senate floor. The largely symbolic vote was not likely to pass the House of Representatives, where Republicans hold the majority by a wide margin.